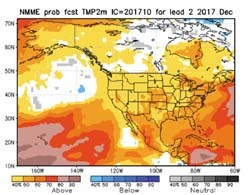 A look at the oceans shows that the Pacific has cooled considerably in 2017 and we have technically entered a La Niña episode. 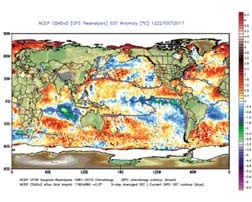 All of that "blue and green" off the West Coast of South America is indicative of cooler than average water and represents a developing La Niña. 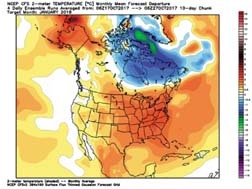 The models keep us in a weak La Niña through late winter, before weakening the signal as we head into spring. 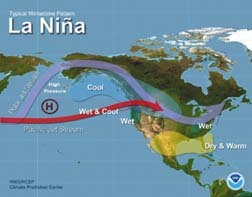 What weather pattern usually influences the United States during a La Niña? 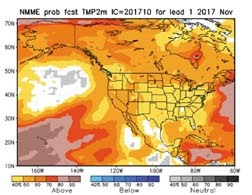 Check out the map below. 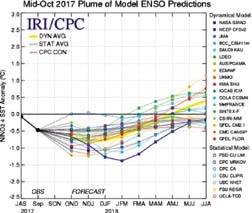 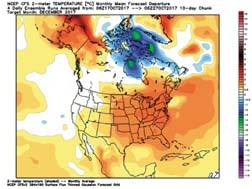 Let's look at the latest models and what they have to say for the next three months. 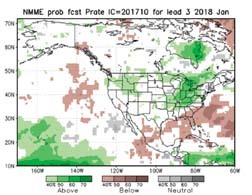 The NMME Model would suggest below average precipitation with above average temperatures for most of Texas. 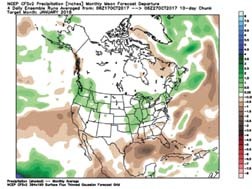 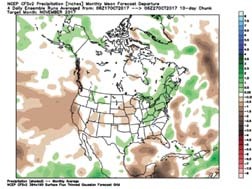 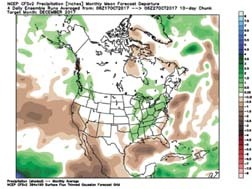 The CFS Model shows average to below average precipitation with above average temperatures. 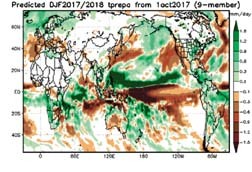 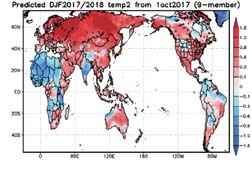 The JAMSTEC Model shows average to slightly above average precipitation with average to slightly below average temperatures. 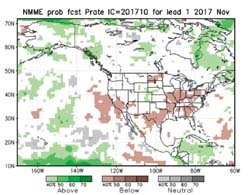 Tough for us to agree with the above average precipitation outlook, as La Niña is notoriously dry for Texas. 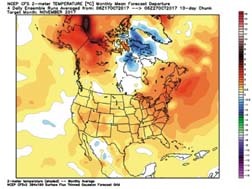 As of right now, I don't have a solid reason to argue with what history is showing for Texas. 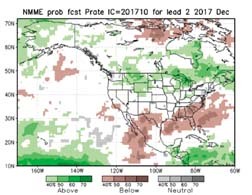 It is possible that parts of East Texas may end up wetter than other areas, but I feel most of the state will struggle in the precipitation department this winter. 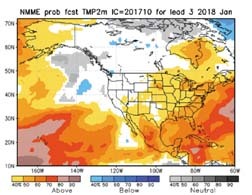 Texas should also end up warmer than average.